I hadn't been out for a wander for a few days and so took the opportunity to travel up to Staines this afternoon. 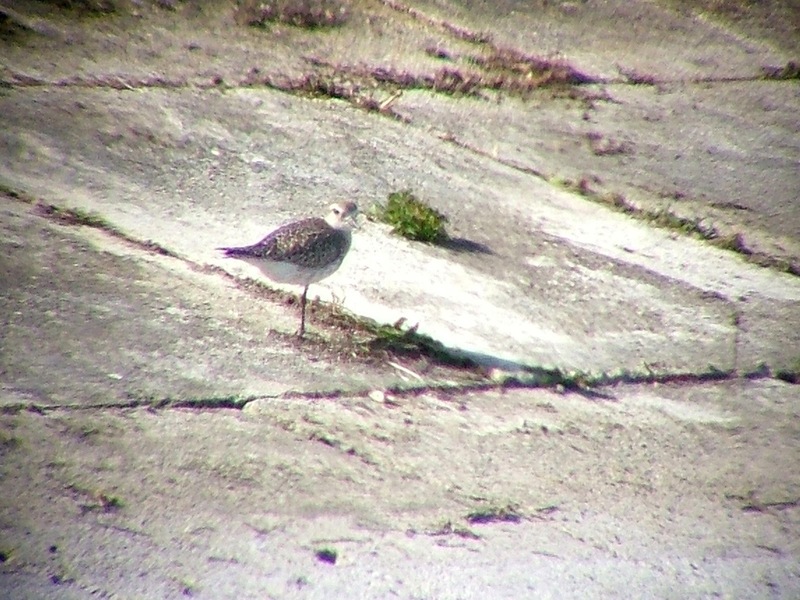 I could have walked the local patch but I knew from the reports that had come in, that the latest arrivals – Little Ringed Plover, Sand Martin and the odd Swallow – will be around for some time yet, so I went round the M25 in search of a Grey Plover that had been reported at the reservoir the day before. Curiously, I have yet to have a Grey Plover on my all-time Surrey list (my 21st century Surrey list, that is), so it would be a welcome addition. Staines Reservoir is good for sea birds, ducks, grebes and waders. It's also excellent for flies. And this afternoon there were literally clouds of them along the causeway. I've never seen so many. You almost had to cut your way through them to see where you were going. Not everyone's cup of tea for a Sunday walk, obviously, but as these flies don't bite you can almost(!) forget they are there, apart from the odd one that ends up in your ear. A Little Gull had also been reported, but amongst the mass of gulls on both basins I couldn't find one. 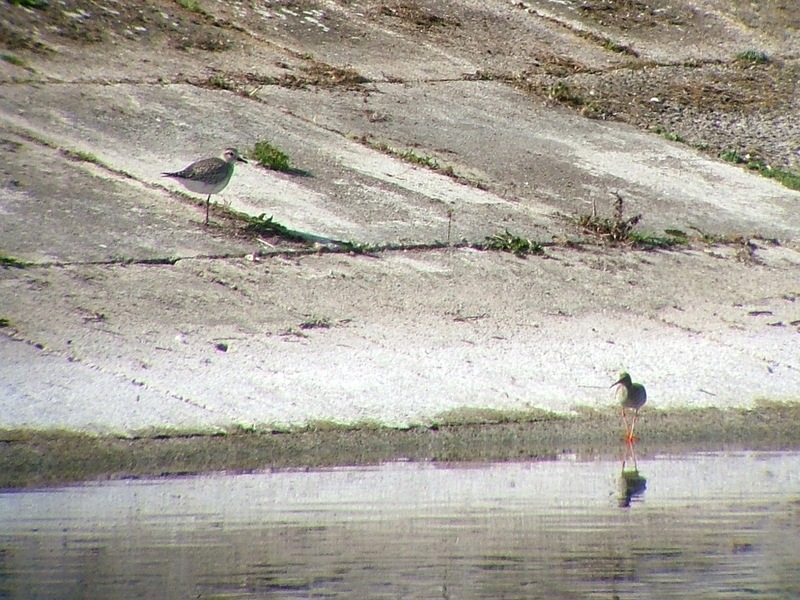 In fact, I couldn't find much at first, apart from four very distant Redshank on the edge of the north basin. 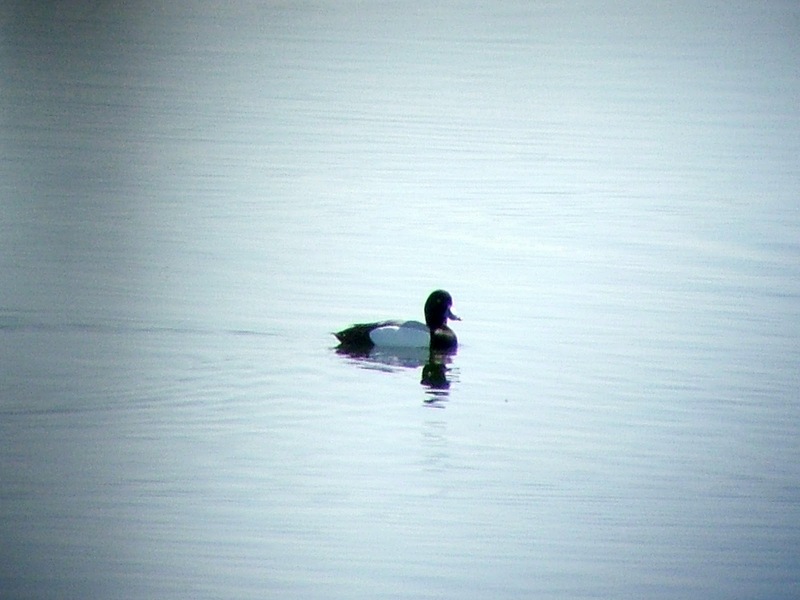 Eventually, I found the drake Scaup on the south basin – it was virtually right in front of me. A handsome duck that has been a resident here through the winter. I was on my way back to the car when I gave the north basin one last scan, and there was the Grey Plover (112) on the west bank, not too far away from the causeway. It was a hesitant bird, nervously looking up at the sky – no doubt for predators. 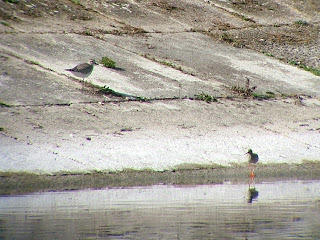 It must have felt vulnerable on its own apart from having a Redshank for company. Scanning the west bank of the south basin as I left, I discovered a Little Ringed Plover (113) by the edge of the water – another year tick. 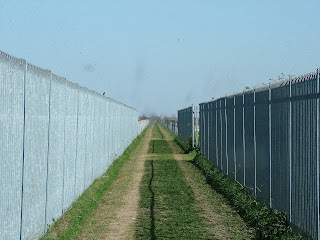 I was hoping to find the odd Wheatear over at Staines Moor, but couldn't find one. They've been a bit scarce since we've had the good weather, so I can only hope that the northerly winds coming later this week might force a few to drop in on their journey. All was fairly quiet, apart from plenty of Skylark, Meadow Pipit and Reed Bunting, plus five Common Buzzards circling high up and a Little Egret. The highlight on the Moor was the chattering sound of six Sand Martin (114) feeding overhead with a couple of Swallows (115). It was reassuring to see them as it was a reminder that summer isn't that far away. pleased you saw the Plover. I was there at dawn, but it was freezing cold & i'd had enough after a couple of hours.